Sometimes all it takes is a tiny little rectangle with two solid colours, red and white, sewn into fabric to give off one's attitude and image. That's the power of branding. And that's the power Tommy Hilfiger has when it chose it's iconic flag as its symbol. 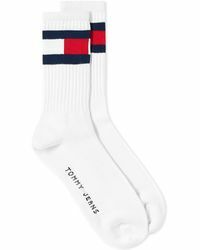 Whether it's one flag on your sock or a bunch printed onto your boxers, no underclothing can go without a little Tommy Hilfiger notification. But it's the details that count most and when you are so precise on something so small, it will certainly carry your way through life. 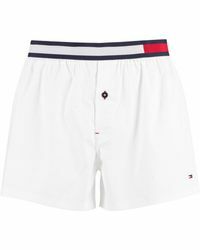 Hilfiger underwear is casual and comfy, modest and pleasing, conservative and colourful making it everything you need under your exterior ensemble.